As a business owner there may be a time when you need to use storage space, whether during a relocation or renovation, or to simply reduce clutter. As a business owner there may be a time when you need to use storage space, whether it is to keep your items safe during a relocation or renovation, or to simply reduce the clutter in your premises. At Bizspace, we offer storage units at many of our sites. We offer a variety of units from small general storage rooms to large warehouses, which are ideal for firms that need a distribution centre. Here are a few tips which will make your life easier. Place items you know you will need quick access to at the front of your storage unit and make sure you can get to them easily. Use good quality boxes and packing materials to protect your items. Scrimping on packaging can work out to be a false economy if your equipment, stock or data ends up becoming damage. Make a detailed list of everything you have put into storage for future reference and to help you find it quickly when you need it. The last thing you want is to waste hours searching your office you've stored it away. Try to put items into boxes if possible rather than putting them directly into the storage room. This will help protect them from dust and other environmental factors. If there are any small loose parts belonging to your office equipment, then use tape to attach them to the item or put them into a clearly marked envelope. Label all your boxes so you know exactly what is in each box. This saves valuable time when it comes to unpacking or if you need to find an item in a hurry. All our storage units can be rented for any length of time, so even if you just need a temporary solution, we are happy to help. You can also move your items to a smaller or larger unit whenever your business needs change. 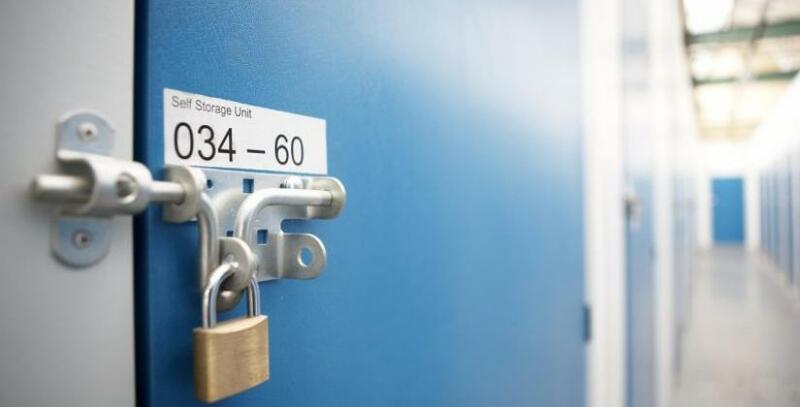 We also have self-storage facilities at our sites in Glasgow, Bradford and Birmingham.